Just a reminder that Enquiro is pleased to be presenting the latest webinar in our B2B Expert Series: Managing B2B Leads for Sales Success. 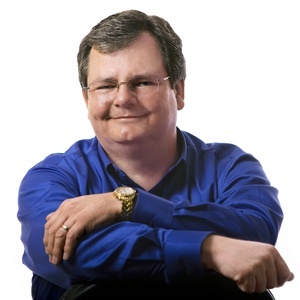 This time out, we’ve invited one of America’s leading experts on B2B lead generation, Mac McIntosh to speak to our audience. Mac is considered to be one of America's leading experts on B2B lead generation. President and principal consultant of B2B lead generation consulting firm Mac McIntosh Incorporated, and founding partner of B2B marketing automation services firm AquireB2B, McIntosh specializes in helping companies generate more leads and close more sales using the latest marketing strategies, tactics, technology and media. Mac, Gord Hotchkiss and Bill Barnes will be leading us through a series of Questions and Answers which are top of mind for marketers. Can B2B Marketers increase revenues with tighter integration between your sales and marketing team functions? In this special live webinar, two leading industry experts will address this question and those below that are top of mind for many B2B Marketing Executives today. 1. What technologies exist that will facilitate more collaboration between marketing and sales? 2. Should social media be part of your demand generation strategies? 3. What role does search marketing play in improving both the quality and quantity of your leads? 4. How will demand generation look different in 2015? Join us for a conversation with Mac McIntosh (from The Business-to-Business Sales Lead ExpertsTM) and Gord Hotchkiss (author of The BuyerSphere Project) to discuss these and other existing realities that face B2B Marketers. This webinar is recommended for VP’s, Directors and Managers in Sales and/or Marketing roles.